The Summer of 2018 can be said to be the Summer of our lives. I ate so much food and gained 10lbs; even my many trips to the beach couldn’t help my weight gain. And of all the foods we ate, my brother’s Suya wings were my favorite. 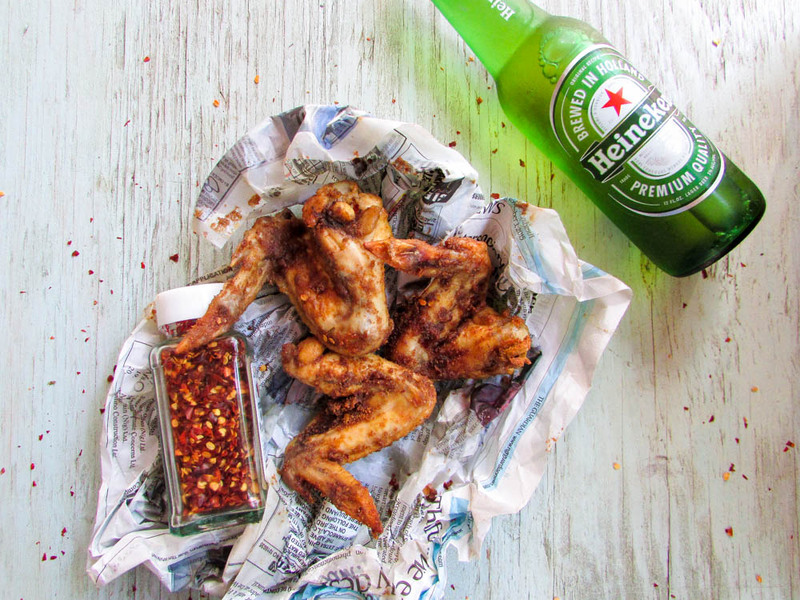 I love chicken wings and slightly sweet beers, so this was ultimately it for me this summer. It’s the perfect appetizer and the perfect finger food for any kind of party. My brother grilled some at a cook out and all were gone at the drop of a hat. 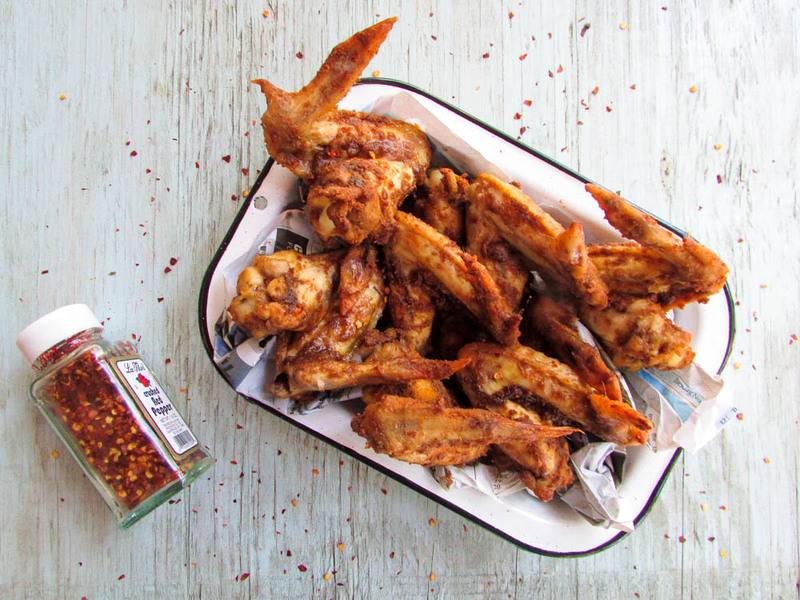 Knowing that Suya is inauthentic without being served in the signature news papers, these chicken wings can also be served news paper style; but to stay healthy, a bowl or parchment paper would do the same magic. One thing you must know before making this suya chicken, is to always use a sweet or almost sweet tasting beer. Attempting to use the likes of Guinness may cause your chicken to be slightly bitter to taste. So the milder/sweeter the beer, the better luck you have at making a batch of finger licking chicken. One with flavors etched in your memory; you’ll never forget how good it tastes in a hurry. Wash chicken, pat dry and season with salt, bouillon(if using), dry pepper, black pepper, white pepper, garlic, ginger root, oil and onion. Let marinate for 12-24hours. After 12 hours, pour chicken in a pot, add water and beer and cook until soft; then drain. Pour the dry yaji and pepper flakes over the chicken, shake to distribute. Let it rest while you fire up and pre heat your grill or oven to 350 or 375 degrees. brush with a little oil and grill until crispy on the outside. Enjoy with Nigerian salad or a side of beer. TYSONS, Va. – July 16, 2018 – Urban Plates – the fine fast-casual restaurant concept that combines a passion for serving sustainably sourced, made-from scratch meals with the variety and vibrancy of a food marketplace – announces the much-anticipated expansion to the East Coast, opening their first ever D.C. location on Monday, July 16, at Tysons Galleria (2001 International Dr., McLean, Va.). With an emphasis on high quality food at affordable prices, Urban Plates empowers guests to make equally wholesome and delicious food choices. Urban Plates carefully prepares 100% of menu items on-premise daily, thoughtfully sourcing every ingredient, including fresh local produce, grass-fed beef, free-range chicken and sustainably sourced seafood. UP Tysons Galleria will add a couple east coast twists to the brand’s seasonal inspired menu, including Roasted Old Bay Potatoes and fresh Harissa Corn on the Cob. Urban Plates’ vibrant, line-style layout presents engaging chefs at each station serving complete plates, hand-tossed salads, hand-carved sandwiches, hot and cold sides, composed bowls, and decadent desserts. Beverages include seasonal natural juice Replenishers, Kombucha on tap, regional craft beers and upon opening there will be an array of California wines. Once established in the location, Urban Plates will serve Appalachian wines, continuing in their dedication to ensuring each location is influenced by the environment around it. Every Urban Plates location features warm, elevated, rustic indoor-outdoor dining spaces with comfortable seating and communal tables for couples, families and groups. Featuring, spacious dining areas embellished with vine-covered walls, Urban Plates crafts their locations to reflect the local communities from which their food is sourced. Take-out ordering and catering are available online and by phone, with local delivery via DoorDash and Uber Eats. Menu prices start at: $9.95 for a Plated Meal with two sides and grilled rustic bread; $9.95 for Hand-Tossed Salads, $8.95 for Chef-Crafted Sandwiches; and $9.95 for Slow-Cooked Braise Bowls. Kids’ Meals start at $7.50. The Tysons Galleria hours of operation are: Sunday-Thursday 11 a.m. – 9:30 p.m. and Friday-Saturday 11 a.m. – 10 p.m.
With each new restaurant opening, Urban Plates strives to support local communities through charitable contributions. UP Tysons Galleria has partnered with local non-profit Horton’s Kids and will provide 100% of donations collected during pre-opening events. For additional information on Urban Plates, please visit www.urbanplates.com. The post Freshness From Coast To Coast: Urban Plates Expands From California To Washington, D.C. Area appeared first on Urban Plates. With over 400 spoken languages, Nigeria is a country filled with people from different walks of life. Currently, Nigeria is going through a lot; the whole country seems to be in total chaos. In the northern region, there is the group known as Boko haram slaughtering the citizens of Nigeria with reckless abandon. But through it all, struggles in continuing to find unity. In the north and as well as in other regions of Nigeria, there are recipes that seem to have been extinct, but these days I see them being resurrected and even made better by different bloggers and chefs. I wish for a day when the Nigerian people will live in tranquility. A day when we would bond all regions through food. Today we are visiting northern Nigeria through the dish known as Dambu Nama. 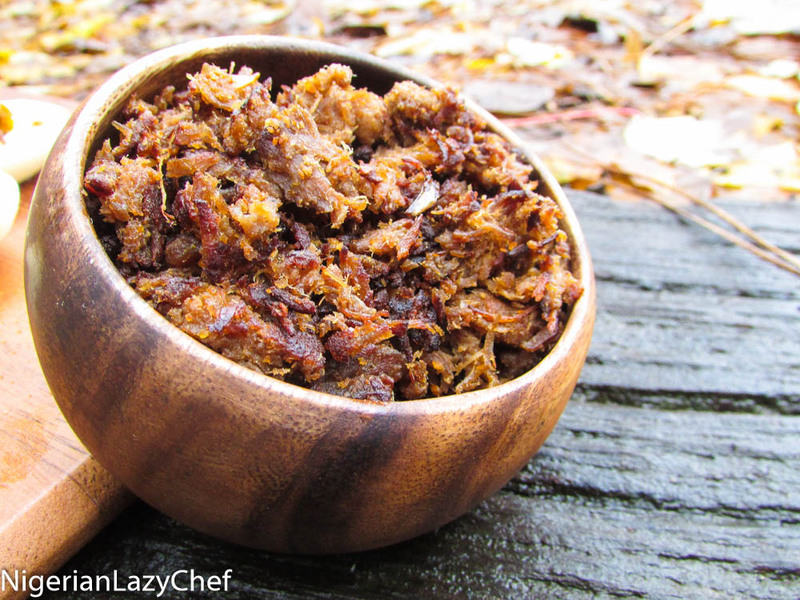 Dambu Nama is a fried and shredded meat made with suya seasonings predominantly known to be a staple amongst the Northerners of Nigeria. Even as a northern delicacy, the rest of Nigeria’s citizens enjoy making this street snack. Even through all chaos we celebrate the north and their contributions to the country’s food chain. A lot of Nigeria’s raw food ingredients come from the north. They are known to contribute more than 60% of the countries food supply. They grow rice, beans, yam, tomatoes, peppers, onions and even supply most parts of the country with beef; through the rearing of cows. Even with the economic and domestic crisis, the north has continued to thrive. And just like Suya, Dambu nama is making waves in Nigerian kitchens; even in the disapora. Good things still come out of the north. Although with no measurements in place for this recipe, eyeballing will make you a great plate. Season the meat with all the ingredients except the suya powder and oil. Cook the meat in it’s own juices until almost dry; then add some water, check for seasonings and cook it until soft and the water is dry. Shred by using a mortar and pestle, a fork or a food processor. Add some suya spice, some Cameroon or Chili pepper, ginger powder(as needed); then check for seasonings and add a little bouillon as needed. Add 1-2tsps of oil to a pan and fry the shredded meat. For a healthier option, you could use the oven at 350 degrees instead of frying the meat.